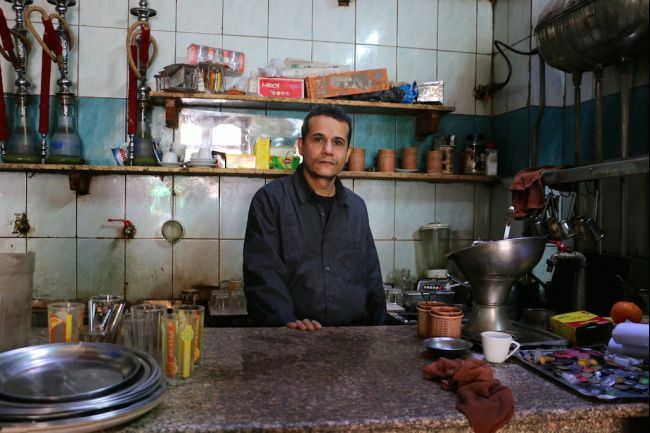 CAIRO, Egypt — In Egypt, almost every man has his ahwa — a traditional coffee shop where they come to meet friends, drink tea, smoke shisha and watch the world go by. All over Cairo and up and down the Nile, it’s not uncommon to see men sitting in ahwas smoking shisha as early as 7 in the morning. Sometimes the water pipe is jokingly referred to as a durra, meaning a second wife in Arabic. Though there may be several ahwas in the same area, all providing nearly identical services, people tend to gather in the same one, though few can identify exactly how they chose theirs, it’s just the ones where they are assured of finding friends. Zakaria is a taxi driver, as are many of his friends, so they have a lot of breaks between customers. They’re not the only ones. 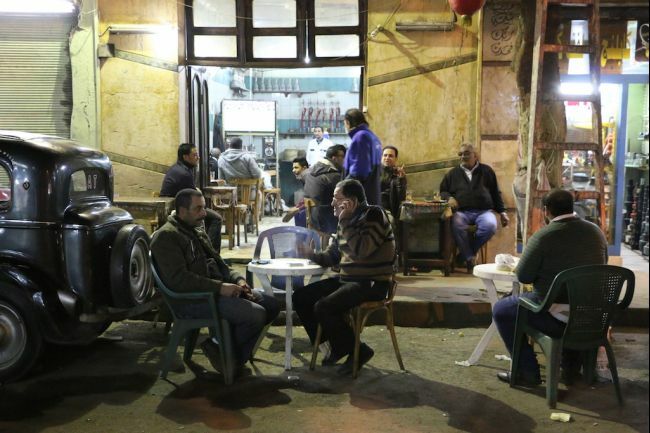 Government workers are often to be found having a quick tea or a smoke near the ministries in Cairo’s downtown. The doors of ahwas are open to the street all year round, even in the surprisingly chilly Cairo winter. Patrons wrap scarves around their heads as they pull on their water pipes and sip hot sweet tea in tiny glasses. Cats wander in and out. He says it’s where he learns all the neighborhood gossip — who is going out with whom, who got into a fight, who’s been arrested. “If you see a new person there, you’d be like, who is that?” he says. It’s also a place where people can still talk politics among those they trust. Since Muslim Brotherhood president Mohamed Morsi was ousted and imprisoned in July 2013, and replaced by a military regime, tens of thousands of his supporters have been arrested for their political affiliations and people are increasingly afraid to speak about politics in public. But in ahwas, among old friends, these debates continue between those who back the regime and those who support the Brotherhood. Others pass the time playing backgammon or dominos. Some are specialized ahwas. “I come to the ahwa because I love chess,” says Alaa Saad Mohamed, a 47-year-old shoe salesman. “All fathers say that!” says Mohamed Khalil, another young Cairo resident. Smoking shisha is a particular concern. “Religious people gather in mosques or do activities together like play soccer, they don’t sit on the ahwa,” Abdalla says. 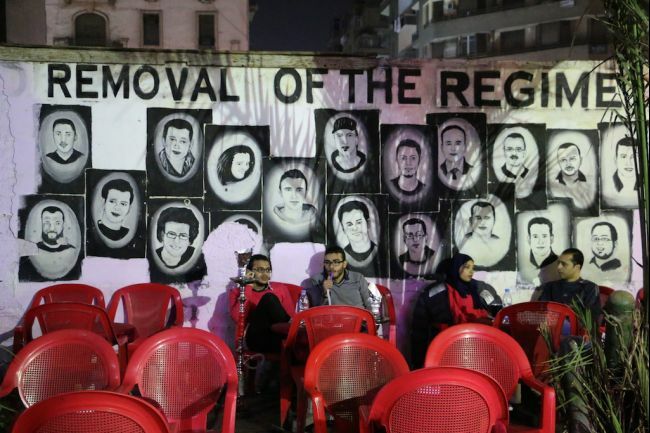 “I started going in high school when I was 15 or 16,” says Amr Helmy, a pharmacist and Abdalla’s childhood friend whose family is less strict. Chairs and tables spill onto the sidewalk. The police periodically raid the ahwas, sometimes confiscating the furniture they find outside the establishments. These days, since the police have been back on the streets since the military coup in July 2013, sometimes they come as often as three times a week. Ahwas are for the most part men’s spaces. 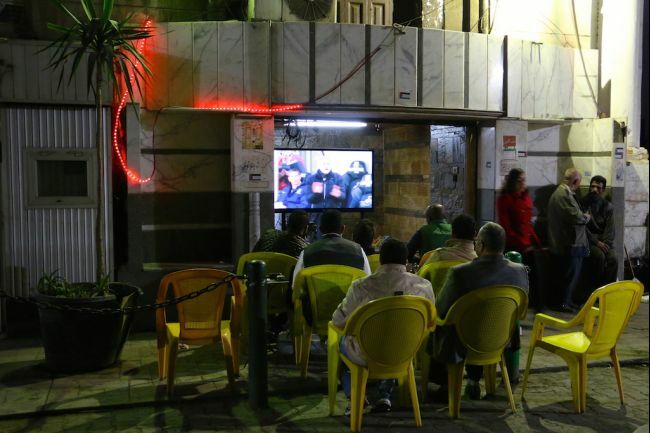 While a woman won’t be turned away, in some places she might be denied shisha. “It would ruin her reputation,” agreed his friend Waleed Seif. In a few ahwas, women’s presence is routine. In the internecine spaces between downtown Cairo’s grand boulevards is a patchwork of cafes collectively called the Borsa, named for their location — Borsa means ‘stock exchange’ in Arabic. “I don’t like the Borsa because it’s mixed, men sitting with women, smoking shisha,” Mohamed says. At one of the Borsa ahwas, four young women, colleagues in a market research company, sit at a table playing cards. “Egyptian custom states that ahwas are for men and if you go people will say you’re not respectable,” says Omnia Sayed, 25. Even here where many women are sitting together and in mixed company smoking shisha, for some, it’s a daring decision. “You see all those tables of women? If anyone from her family came she would be out of here,” says Shaimaa Gamal, 26, jerking her thumb over her shoulder.